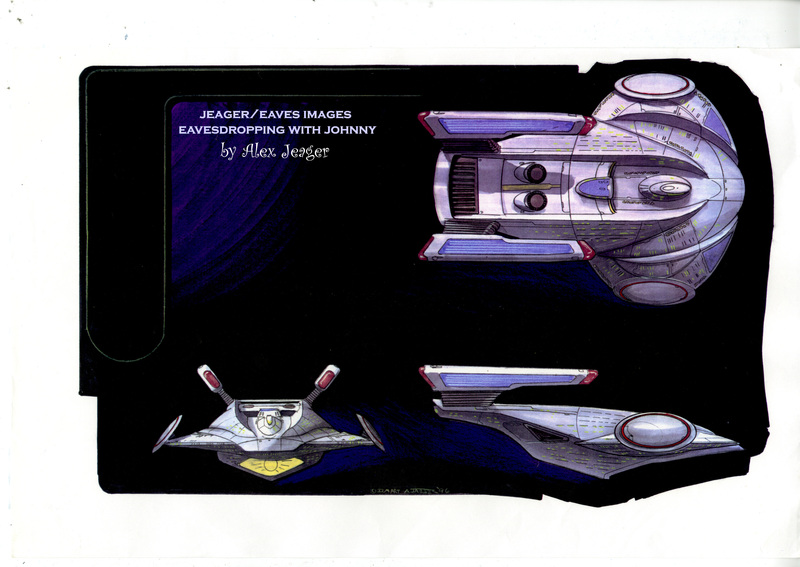 Alex Jeager was the key concept artist at ILM on ST First Contact. We first met by phone and later in person on one of my trips up to see all the model work going on with the new Enterprise and the Phoenix. 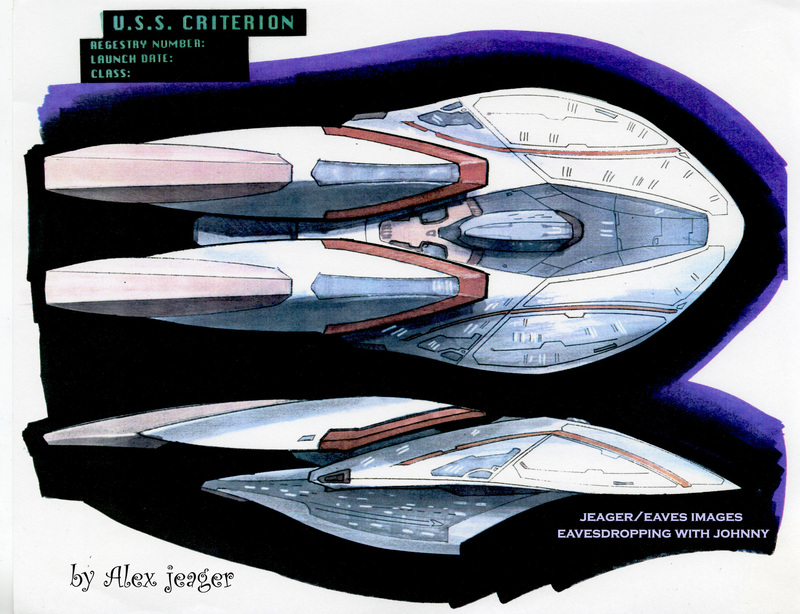 Alex was in charge of creating a lot of the designs for the borgification VFX sequences, the Borg Queen, various details on the “E”, the color scheme for the Phoenix, VFX storyboards, and mostly he was the one that designed the Federation Armada that battles the Borg over Earth. Alex back in the days was a pen and marker guy and advancing to computer modeling and photoshop work. on FC he did a bit of both CG and Traditional renderings and here are some samplings of both. As requested here are many of the concepts that didn’t make the final film and a special group of images from my favorite of Alex’s incredible designs, The Akira!!! I am probably the only one that can’t get on Alex’s web page but I can get to his Blog and both links are over in the Blogroll to the right!!! 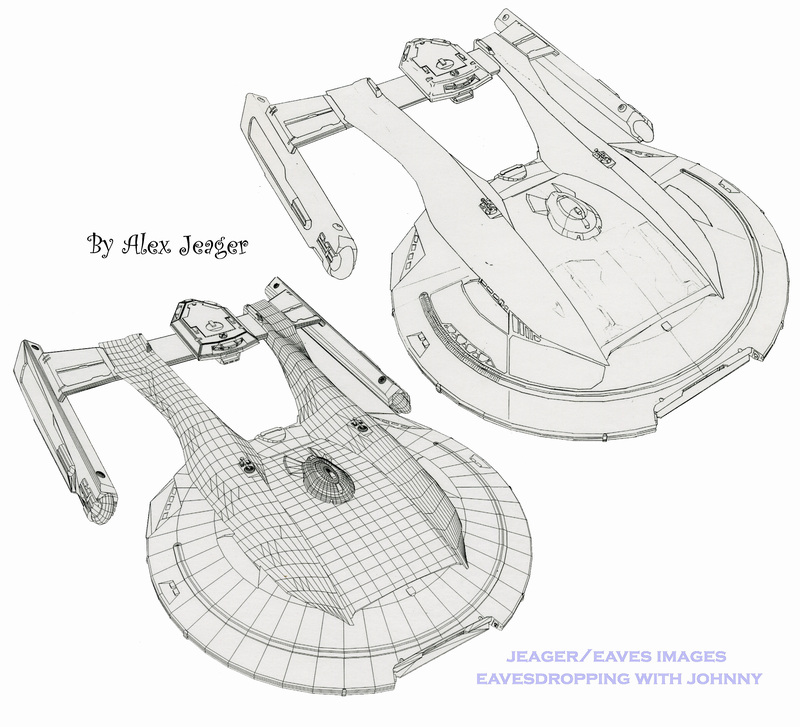 Hope you enjoy all the cool drawings and CG meshes by the incredible Alex Jeager! WOOOOO, my fav!!! the oh so sleek Akira!! The Akria is Fav design. It such a cool ship. Alex, can you Confrem if this ship desgined as a carrier for Federation Fighters? I read some place that it was. I also love the top and fornt view of this desgin. but the side view look to me a little fat. Same with some of the others. Oh my! These are wonderful. The Akira is fantastic and when I saw FC I was amazed. I was glad to see this class make it’s way into DS9 at the end. The Criterion is a tad odd, IMHO, but those other designs are incredible. I think we can safely say we’ve been waiting for these forever (or, well, thirteen years). Thanks John! thes were all to be in the sketchbook but didn’t make the final cut!!! Yes!!!! You made my day. I have been looking for concept drawings from ST.FC forever. This is great. Thank you for posting these John and great work Alex. Nice stuff. Computers are cool, but pen and markers are better. I’m an old school pen and marker guy myself. 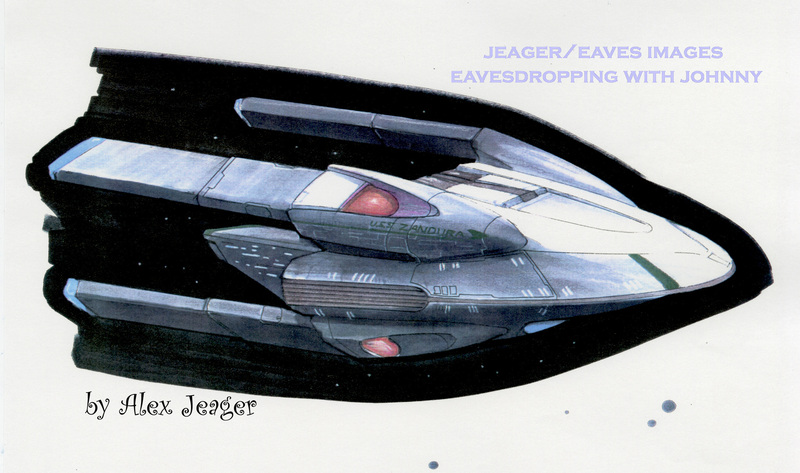 I was quite happy to learn that Mr Jaeger designed the background ships in the new movie, as I was impressed by his designs for First Contact. They were all different from what was seen before, different from one another, yet still believable as Starfleet ships. 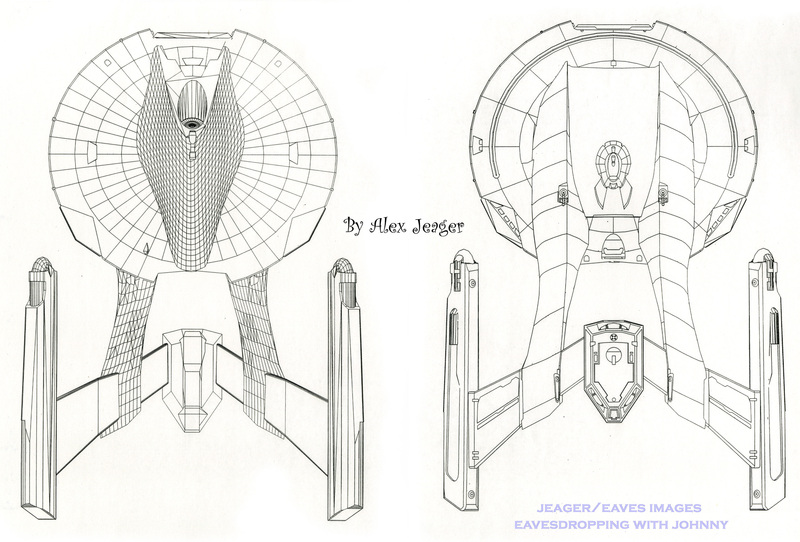 The NX-class Enterprise is a beautiful (yet perhaps misplaced) testimony to his appealing Akira design. I look forward to a more detailed look at his work in the new movie, as well as yours John! (nudge nudge 😉 Thanks for this great post. 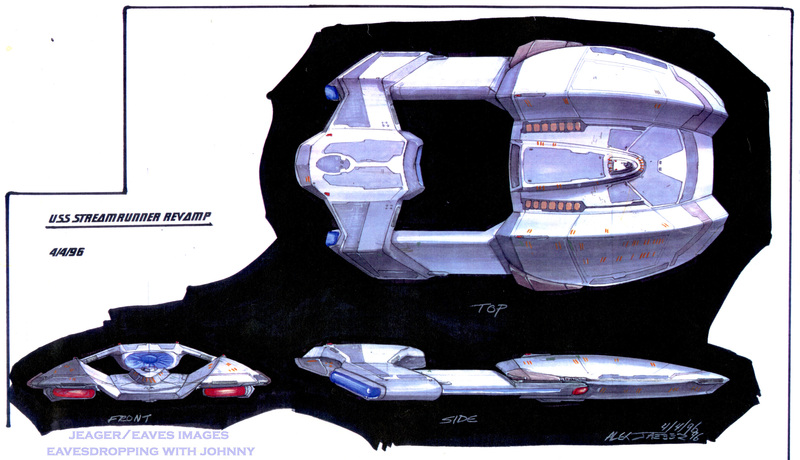 While I wouldn’t call most of those Starfleet ships, they are cool designs never the less! I do like the lines of the first one a lot, but I got the impression it would work well as a transport, like a carrier, or a civie ship, like a cruise ship…I’d book a trip! Thanks Alex and John for sharing! I can´t get the larger versions of the 4 last! can someone fix that? They all work for me, I also just made all the images click’able to expand to full size(execept for the 2 CG renders of the Akira which look terrible when enlarged for some reason). Wow, fabulous stuff! I’ve always wanted to see more of the concept sketches. Thanks for sharing these, Alex and John! I really like that first unnamed Steamrunner (concept 2). Nice to finally see the Zandura too (I’d heard that listed as a four-nacelled serpearble science vessel?). The Criterion’s pretty funky too. The fifth one down (the little beauty you mention) looks almost like a Dominion ship from the front. Do you know what the circular structures on the edges of the saucer are? The Akira’s wonderful, no doubt. But I’m just so intrigued by the other concepts. I’m guessing that the first and third ones were concepts for the Sabre? And the second, has the Bradbury-class feel to it. Too bad it didn’t make it in. I wouldn’t be surprised if we see those rejected concepts are starships someday. Anyone else notice that most of these have the same “chin” profile for the underside? Good stuff, glad the Alex archive is open 🙂 First Contact is my favorite (as it is with most people) of the TNG movies. wooo hooo!!! takes for ever to get all this stuff scanned, framed, numbered, the little title thing-y put on and posted,,,, thanks for being patient with the long process of getting things up! What happened to the Norway class? these aren’t everything,,,, more to come tomorrow! Thanks so much for the concept art for the First Contact ships! I remember when the movie first came out…starship nuts like me were going wild with all the new ship designs. That’s kinda what’s going on right now with the new movie…there’s at least six new ship designs there too! Looking at these concepts, I can see how the initial designs evolved into the finished products of the Saber, Steamrunner and Akira classes. However, I do have a question: Why, with all the other cool designs like the Criterion, the Zandura, and the one you call “the little beauty,” did they choose the Norway? It was a very ugly, plain looking ship, and I don’t think it was even finished being rendered by the time it was used. Huh? I couldn’t tell you!!! their approval process was separate from ours!!! Some great concepts there, I love how you can see that concept 2 and 3 got merged togetehr to become the Steamrunner class we all know and love. 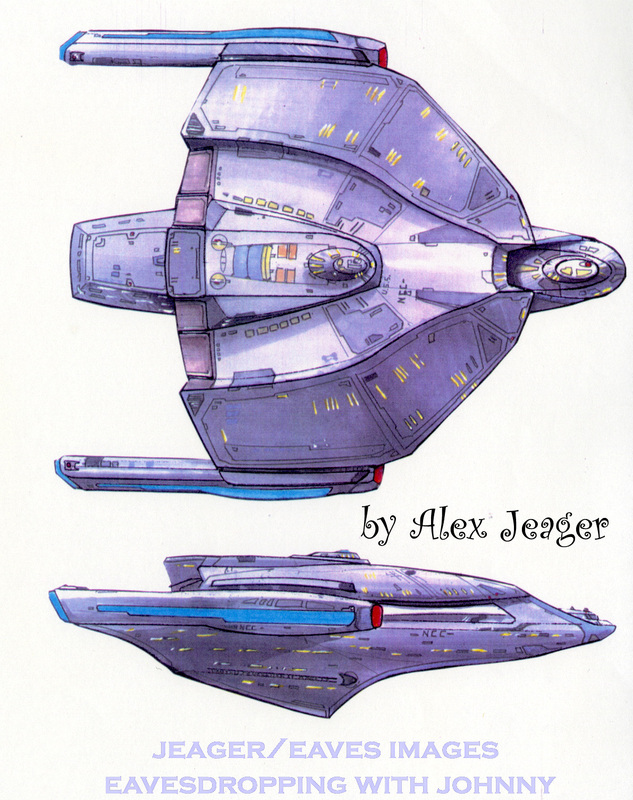 I’m really really happy with what Alex did in First contact, he really gave starship architecture a breath of fresh air by breaking the traditional layout of Starfleet ships, I think alot of people, especially with fan deisgns, were getting scared of breaking the traditional saucer, hull, 2 nacelles layout. As for the Norway, I really curious about her. The model in the film was not finished, she had the Defiants texture on her underside, large renders of her also show that she wasn’t at the same standard as ships like the Akira. My bet would be the production schedule caught up with the special effects guys and they didn’t have time to clean up all teh models as they wanted. 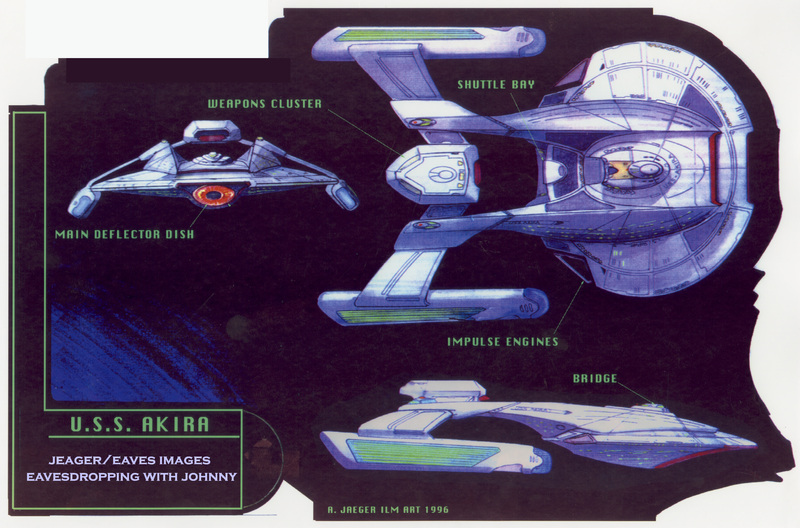 I love the look of the first ship in this series of images… it has a manta ray feel to it. 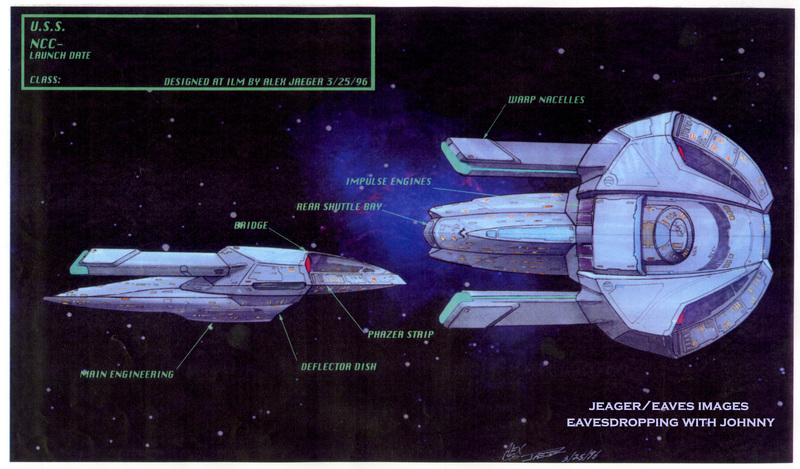 Thanks for posting these John – I’ve been curious for years about the Armada designs that didn’t make it on screen. Alex did some great work with these ship designs. All I can say is THANK YOU John and Mr. Jeager. These are beyond great! Well it’s safe to say I can die happy now. 😀 Hehe, it’s just amazing to see these lost designs and I can’t believe there’s even more coming tomorrow! Thanks John and Alex! p.s, I have the same issue with Alex’s site. Just a blank black page. No idea what the issue is. Fantastic stuff. I own the sketchbook and I’m delighted to have something to add to it all these years later. Thank you! Akira is a knockout. Best Starship design since the original Enterprise.